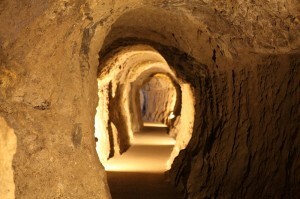 “Iwami Ginzan Silver Mine and its culture landscape” was resistered as the World Heritage Site in 2007. 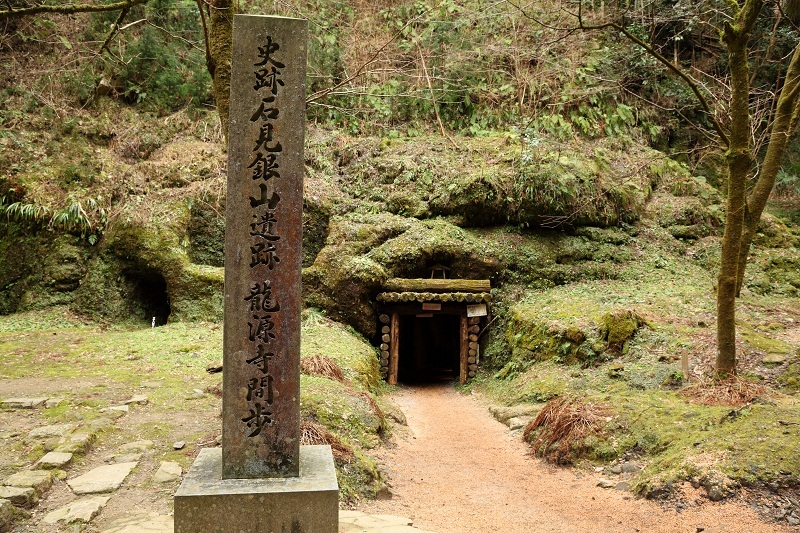 Iwami Ginzan Silver Mine was an active mine from the 16th to the 20th century. The fine quality of silver produced here had an influence on economics all over the world. This tour traces the remains of a mining town and the olds streets that once prospered as a town founded by silver. Arriving at JR Oda Station in the morning, take an Omori Otsuka line route bus bound for Omori/Otsuka. It is recommended to visit the Iwami Ginzan World Heritage Center to learn about the history and composition of the mine itself to understand the site more fully. It takes 33 minutes to arrive at the “Iwami Ginzan Silver Mine World Heritage Center” Bus Stop (750 JPY). If you decide to skip to the site, it takes 26 minutes from the station “Omori’ Bus Stop” (670 JPY). 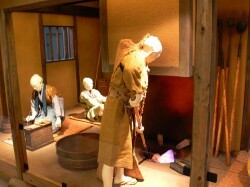 You will get to know the history of the Iwami Ginzan Silver Mine and its composition as well as learn from the explanations of mining technology accompanying the exhibited materials; excavated items, replica models, and video footage. 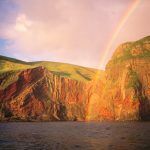 Foreign language guides are available. 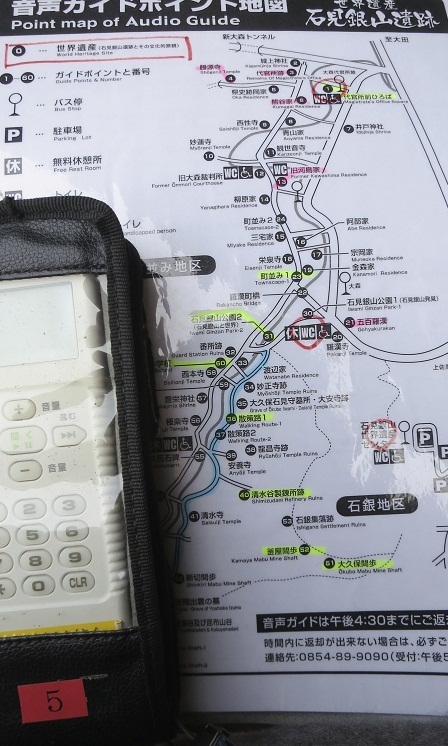 On arriving at the Omori bus stop, you will soon find a tourist information office. Since there are a lot of points to see, it is recommended to visit the office first and rent an audio guide (English, Korean, and Chinese) to enjoy lively stories and interesting information (500 JPY). From here, you can either walk, rent a cycle, or catch a velotaxi to see around the site. It is 2.3 km to the mine tunnel, and you can either go on a paved street or a nature trail. Let’s save the paved one for the way back. As you go through the forest, you will find many remains of mine tunnels, shrines and temples; the remains of the Shimazudani Refinery, a ruin of a modern refinery that adopted western techniques. It was active for only one year, but its huge stone walls remain and remind us of old times. There are approximately 600 mine tunnels that were used for excavated for mining silver in this site, and they are called “Mabu” in Japanese. Among them, the Ryugenji-mabu is one of the only two mine tunnels open to public, you can walk through 273m of the 600 meters length mine. The traces that the miners made to scrape tunnels with chisels tell you how hard it was to work there in those days. 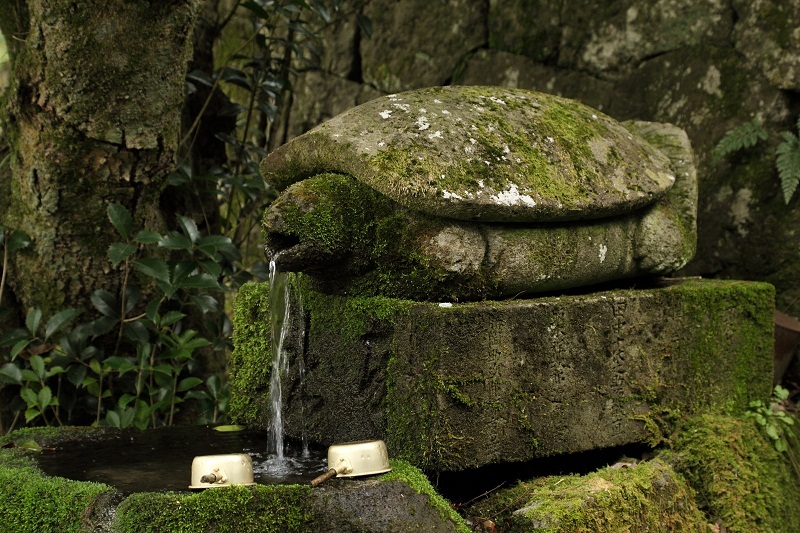 A 5min walk from the Ryugenji-mabu, Sahimeyama Shrine is enshrined as a guardian deity of Iwami Ginzan Silver Mine. Walking up about a hundred stone steps, you will find the shrine, stone walls of former residences, and remains of mines on both sides of the shrine. Cafes and restaurants stand along the street on the way back to the Iwami Ginzan Park (the bus stop), so take time and enjoy your lunch. 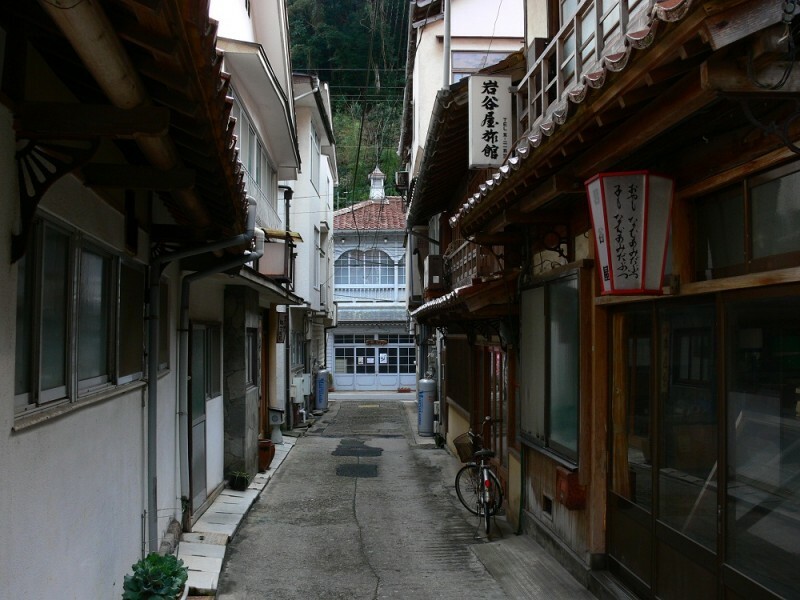 Omori Town flourished as the management base of the Iwami Ginzan Silver Mine. The town has also been selected as an important traditional building preservation area. Red roof tiles are known as a famous local specialty of the town. Traditional buildings with these red tiles are now used as cafes, souvenir shops, and galleries. 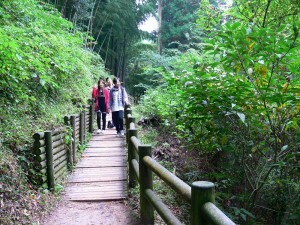 In the afternoon, go out and enjoy the townscape and visit some traditional buildings, temples, and shrines. 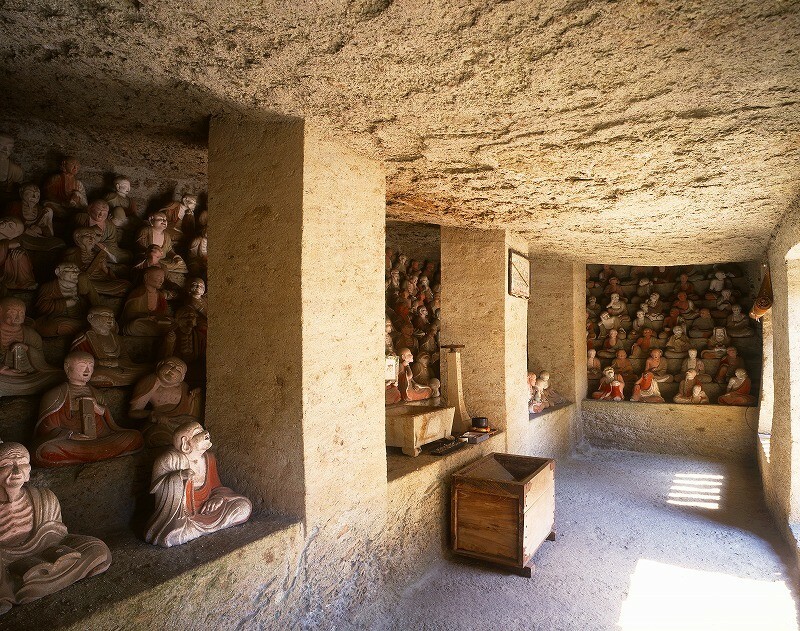 Crossing arched stone bridges, you are welcomed by hundreds of stone statues called “Gohyaku Rakan” inside stone caves. 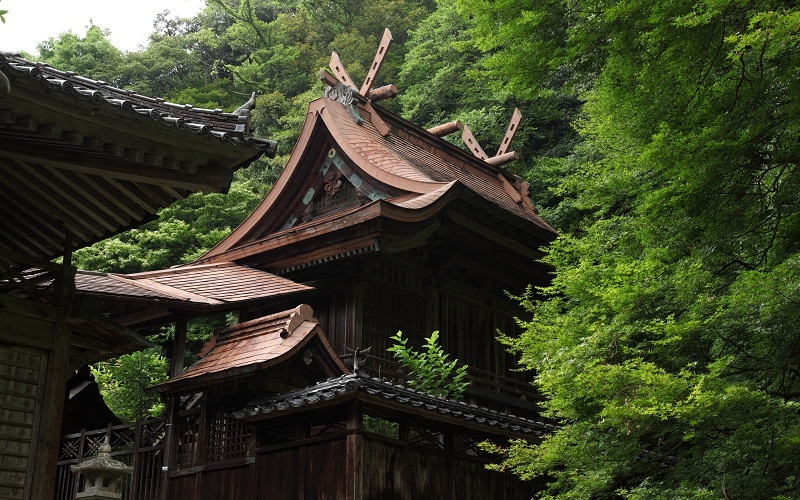 Gohyaku means five hundred, and Rakan is the name for the highest rank of the Buddhist priests in Japanese. Actually 501 stone statues are placed in here for those who died while silver mining to rest in peace. Some of them smile, cry, or even chatter to other statues. In those days, it was said that you can find statues which remind you of your descended relatives among them. The rumor spread and many people who had lost their family came here to find them. This is the only former samurai residence in the Samurai Residential Preservation District open to the public. The property is surrounded by a high fence and gate, with a garden facing onto the street and the main house at the rear. 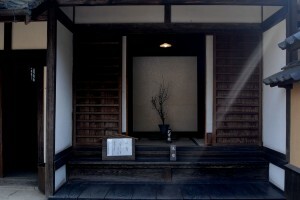 This is the largest merchant residence in Omori. 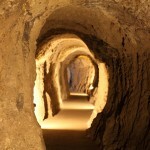 This was involved with the management and administration of the mine during the 17th century. After this, it served as a guest house for merchants and officials visiting the Magistrate’s Office. This home was also involved in the production of sake (rice wine) from the end of the Edo Period. There are more than twenty rooms and five storehouses in this grand home. Here visitors can soak up the atmosphere of rich merchant life. The Iwami Silvermine Museum, dating from 1902, was a town administrative office standing on the site of the magistrate’s office which oversaw the Iwami Ginzan Silver Mine in Omori. 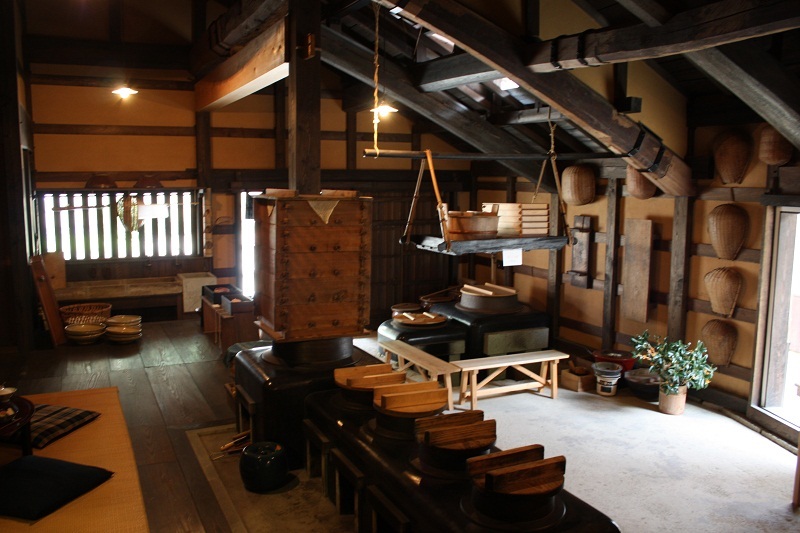 The museum houses ancient documents, maps, and other materials relating to the Iwami Ginzan Silver Mine. It is a great source for background information before heading on to the mine. 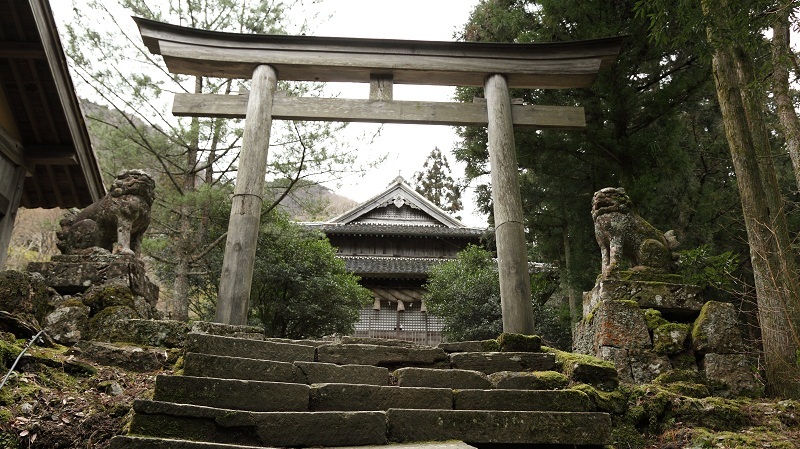 Kigami shrine has been enshrined as the guardian deity of Omori town for over 400 years. 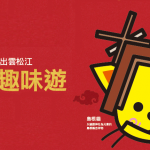 Try going inside the worship hall and experiencing a mysterious phenomenon. 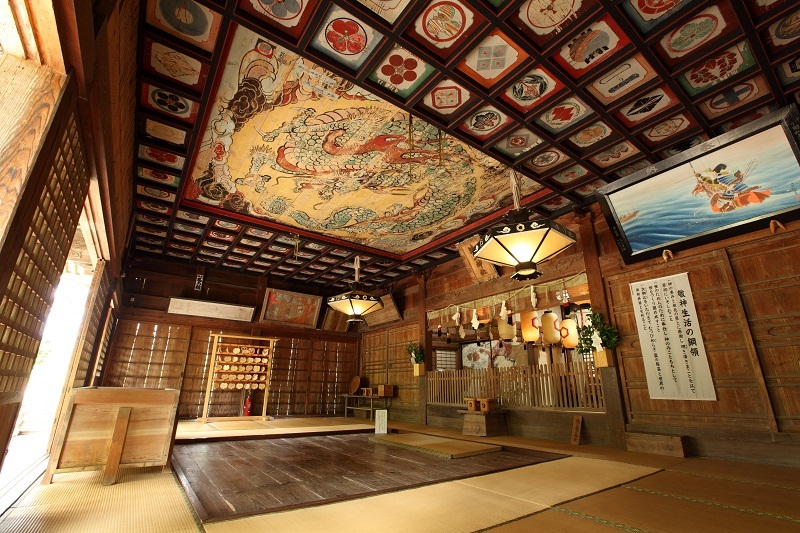 Place yourself on the center of the wooden floor, where you can find a dragon above on the ceiling. On clapping your hands together in prayer, it echoes as if the dragon howls. Leave the site and get back to JR Oda Station. You can catch a bus at “Omori” bus stop, where you arrived at, and the “Omori former magistrate’s office” bus stop, which is the closest from the Kigami Shrine. Then move to the JR Maji Station. A 5 min walk from the station takes you to this beautiful beach. Take off your shoes and enjoy the famous “singing” sand. The sand makes more beautiful sounds near the waterfront. What’s more, you can meet dolphins if you are lucky! 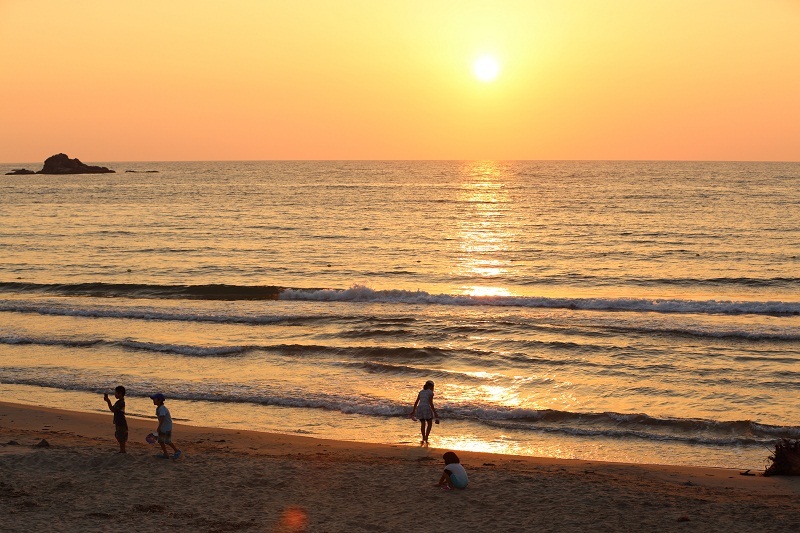 After enjoying the sunset, move to the JR Yunotsu Station, where you can stay a night and refresh your body. 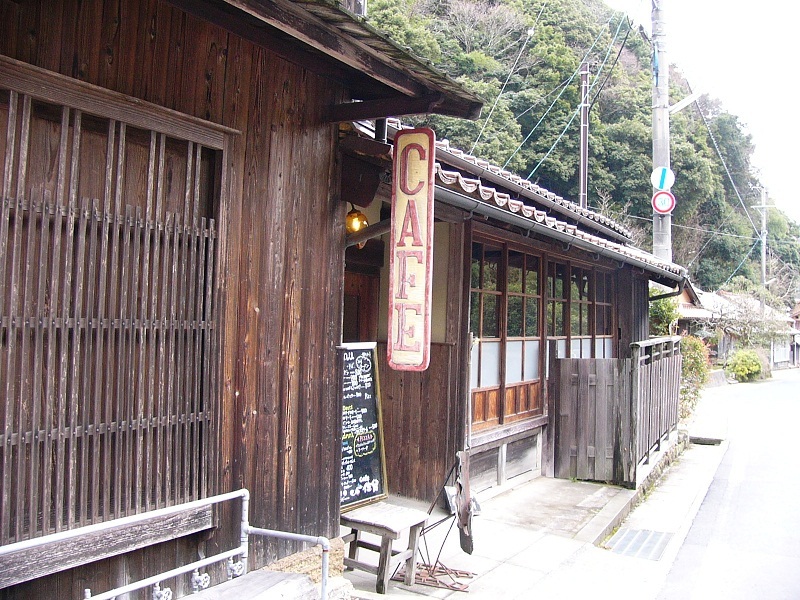 At Yunotsu Onsen (15 min walk from Yunotsu Station), you can soak up the tranquil atmosphere of a town with such a long history. How about an English guided tour? 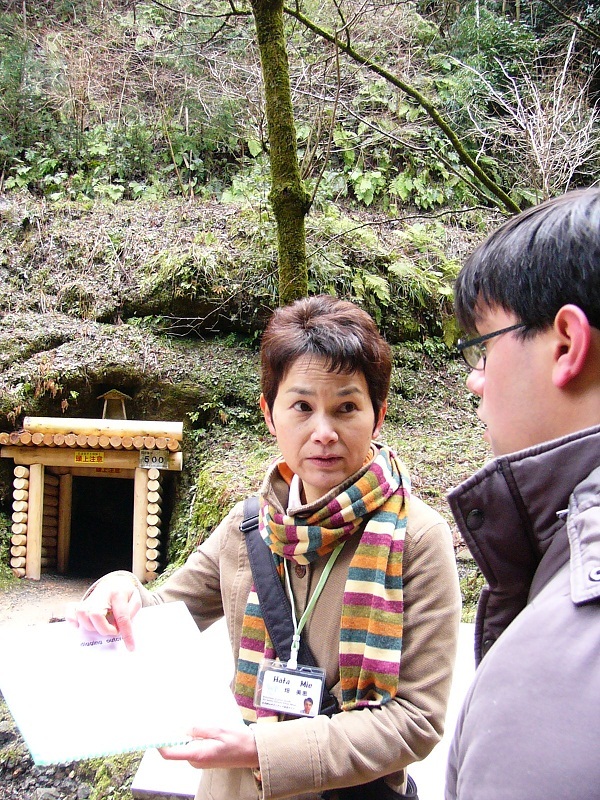 Iwami Ginzan Volunteer Tour Guides are a group of local volunteer guides in Oda, Shimane. They offer sightseeing tours in English for overseas guests visiting Iwami Ginzan with warmth and enthusiasm. *Please make your reservation at least 14 days in advance via email. 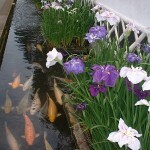 Details can be found on their official website [ >>Iwami Ginzan Volunteer Tour Guides ]. Please click here to see how to get to Shimane. To Iwami Ginzan Area, the nearest JR station is “Oda”. It is 25~35 min to Iwami Ginzan area. Express bus which goes directly to Iwami Ginzan is also available from Hiroshima Sinkansen Terminal.